Kavala (Greek: Καβάλα) is a city in northern Greece, the principal seaport of eastern Macedonia and the capital of Kavala regional unit. It is situated on the Bay of Kavala, across from the island of Thasos. 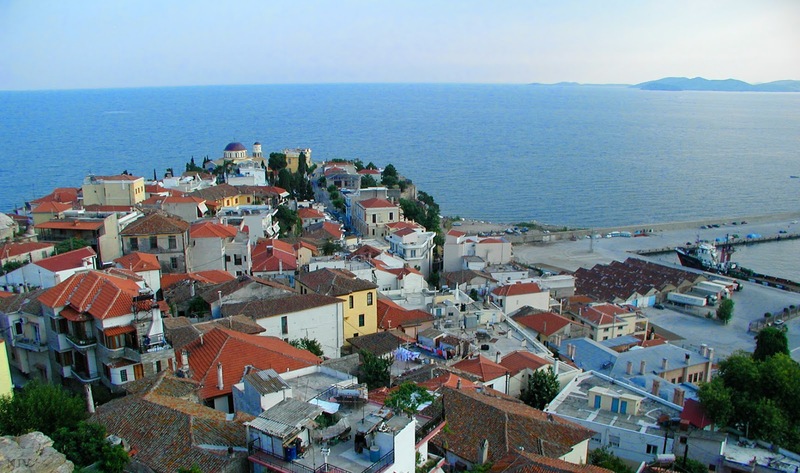 Kavala is located on the Egnatia motorway and is a one and a half-hour drive to Thessaloniki (160 kilometres west) and forty minutes drive to Drama (37 km north) and Xanthi (56 km east). Its nickname is The cyan city (Η γαλάζια πόλη). The most important sights in the old town are the Castle, the Acropolis, the Imaret and the old Lighthouse at the end of Theodorou Pavlidou St, beneath which the rocks of Panayia are situated. The landmark of the Old City is the Mohamed Ali square, dominated by its statue, situated between the “konaki” (his house built at the end of the 18th century) and the church of Panayia, built in 1965 on the ruins of an older post-Byzantine three-aisled basilica. The modern town Kavala boasts a unique character reflecting its recent past: Neoclassical mansions and big tobacco warehouses evoke the memory of a distant past when a wealthy bourgeoisie was dominating the city. In the “Mecca of tobacco” as Kavala was named in the past, thousands of tobacco workers, male and female, earned their living. Palm trees line the esplanade of the port,where modern buildings and fish tavernas are side by side, while fish boats cast their reflection on azure waters.